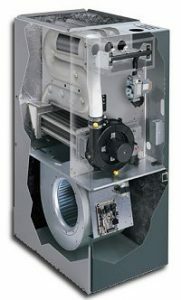 For standard houses I recommend the Armstrong Ultra V95 Enhanced furnaces. They lead the way on warranty, availability & parts. The reason we recommend these is they are very competitively priced and well made. We also install new & retro-fit fire places that are high efficient fuel saving and much quieter than in the past. Call us for your quote today. Both Intertherm & Coleman furnaces are equally good in their own right. Both deliver quality, comfort and excellent value for your dollar. I have dealt with both brands over the years, and have found that they are both easy to repair and get parts for. Both manufacturers have made good strides forward in technology to make the furnaces quieter and burn much cleaner than in the past, as well as making the units more efficient. Thermostats are just as important as the furnace. Without a good thermostat, your furnace & A/C unit just wont run properly. White Rogers make the best thermostat for the money in my books. Here are the two models I install most often. This Stat is one of the most common and easiest to operate and program. A nice simple design and easy to use. This Stat is for the urban professional that really knows his Heating & Cooling needs. A nice simple design and easy to program to fit your life style. Gas fitting is also one of my trades of witch I am licensed & Bonded for. We do new installations as well as retrofits & reno’s. 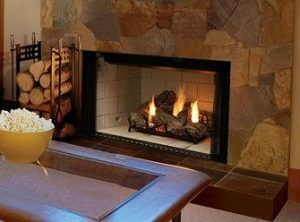 Some of the projects we do are: BBQ’s, Fire places, Fire pits, Furnace replacements, Hot water tanks & Instant hot water heaters. One of the items you should familiarize yourself with is your gas meter. It’s located outside your house (usually at one end of the house) The valve at the side of the meter can be shut off by using a wrench in the case of an emergency or if you smell gas. After shutting off the meter call Fortis Gas right away and report it. Then give me a call and I can come over and fix it as soon as possible.